Òran Mór is available for civil, religious and humanist ceremonies. The Auditorium is an atmospheric room enhanced by the original stained glass and, as well as retaining many of the original features of the church, offers a contemporary setting in which to hold a wedding. Hire of the Auditorium also includes use of the Gallery (see below). The facilities include private entrance, private bar, dedicated kitchen, disabled access, natural daylight and a stunning original architectural setting. 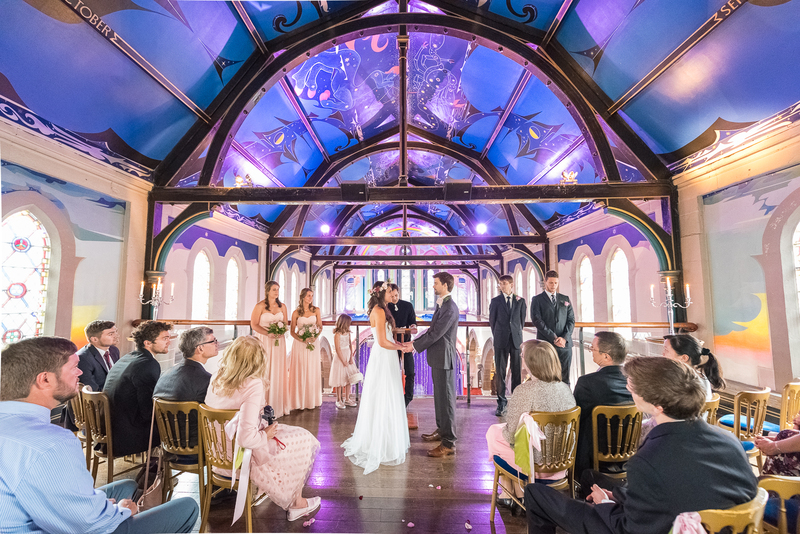 The Gallery is located in the upper level of the Auditorium (balcony level) and is usually hired in conjunction with the Auditorium for larger weddings. The Gallery is also a perfect location for those looking for a smaller wedding venue in Glasgow. It is an ideal spot for viewing Alasdair Gray’s ceiling mural. Please note: The Auditorium and Gallery are not available for a stand-alone ceremony. A ceremony will only be provided in conjunction with a reception. 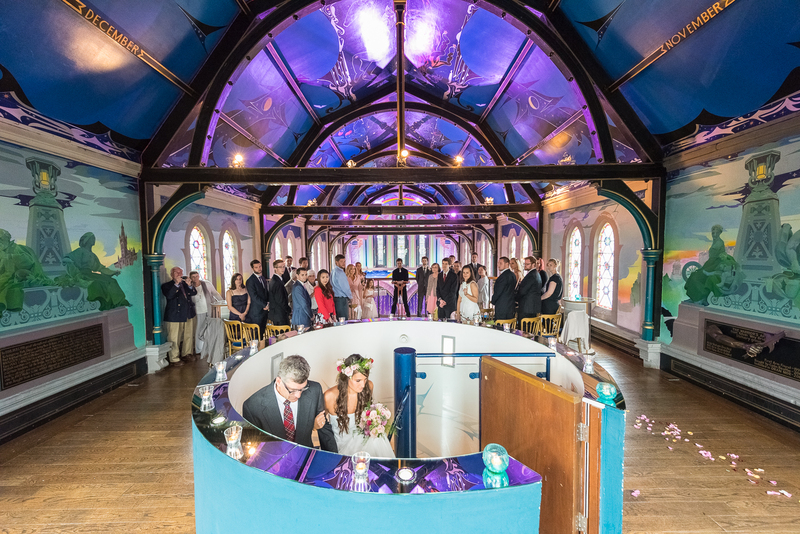 The Gallery is suitable for a drinks reception after a ceremony but is not available for a wedding meal due to access arrangements. Please see below for details of our Private Dining Room to follow a Gallery ceremony. For bookings and further information please contact the Events Team by calling 0141 357 6214. 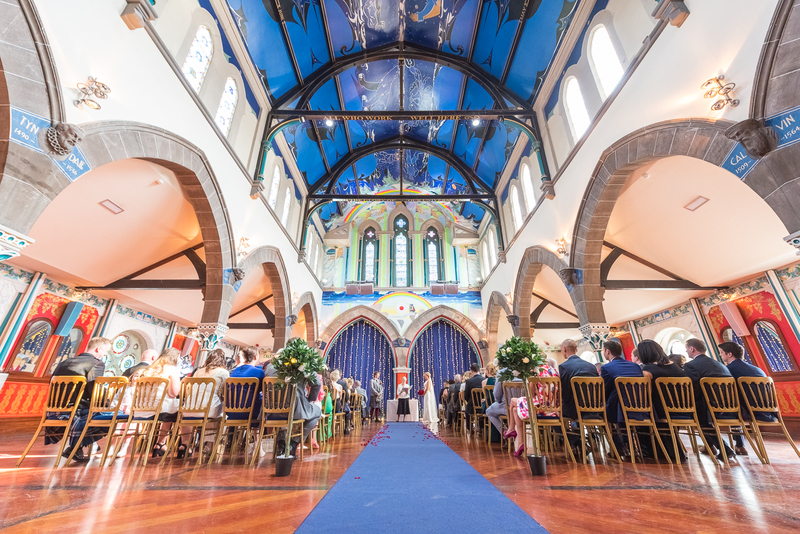 Alternatively, you can email us at info@oran-mor.co.uk. Òran Mór is committed to ensuring an open and accessible environment for everyone. Our aim is to provide an inclusive and welcoming experience for all.